Here are my personal top 5 hot spots in Oz, be sure to visit them all! 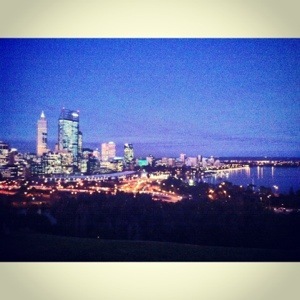 Perth was the first place I got to in Australia. A very small city, with some cool suburbs around. We got there in July (Winter) therefore there wasn’t a lot to do. 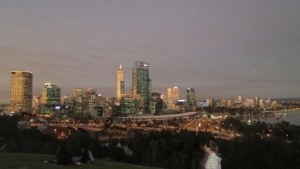 The one thing I did love about Perth though was Kings Park. A few minutes walk from the city centre, if you got the timing just right you could catch the sunset going down over the city. It really was an amazing view and so relaxing just chilling on the grassy hill whilst looking down on the hustle and bustle of the city. Perth city is on the water too which makes it even prettier. I recommend if anyone is visiting Perth, Kings Park is worth a trip. 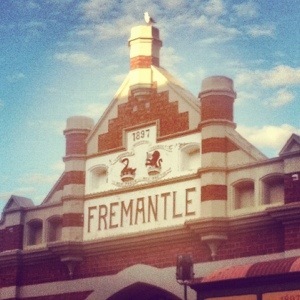 Fremantle, also known as Freo is a suburb of Perth. It’s a hip little seaside town that on the weekends has the coolest markets ever, reminded me a lot of the Camden markets back in London. The buildings are very bright and quirky, you have no idea your just a short ride from the city. It has a fun, relaxed atmosphere with a gorgeous beach. A great place for fish and chips too! I would definitely go back! 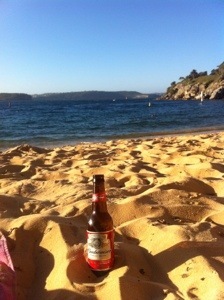 Camp Cove is a beach in Sydney, I have been going there nearly every day on my days off. It’s not one of the major beaches in Sydney and many people don’t go there or haven’t heard of it. It’s right next to Watsons Bay – which strangely enough, everyone has heard of. I like to think of the Cove as my secret little beach. 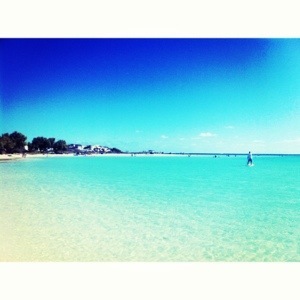 Its a perfect bay which is great for swimming in (unlike Bondi and Coogee, the big surf beaches). Feels like your in the Mediterranean rather than Australia! 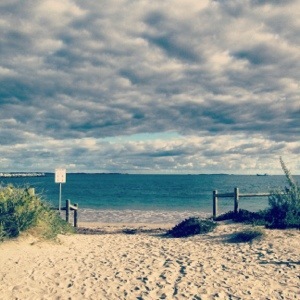 Aah Exmouth… North of the West Coast, Exmouth is a small holiday hotspot for travellers and locals alike. Although many travellers follow the backpacker trail and head straight for the East Coast, the West Coast gets somewhat forgotten about. If you get the chance to go here, I would highly recommend! We went in July which is perfect weather and prime time to swim with whale sharks. Exmouth is one of the best places in the world to do this. There is a huge national park which has about 12 different stop off points, drive round to each one to see all of the beautiful bays it has to offer. My favourite was Turquoise bay, even the name sounds lovely! The town itself is small but has such a chilled out vibe, definitely one of my favourite places I’ve been to here. Of course, number 1 has to go to The Reef, one of the seven wonders of the world and I can see why. We went there on my 22nd Birthday, one I definitely won’t forget! I remember being on the boat on our way out to the reef thinking “I wonder if I’ll know when we’re there” and boy did I. 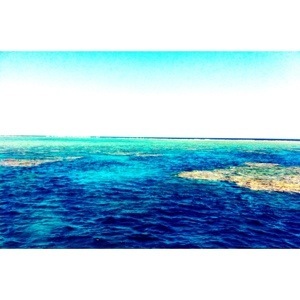 The water just changes colour, from a deep dark blue to a gorgeous turquoise that is crystal clear. 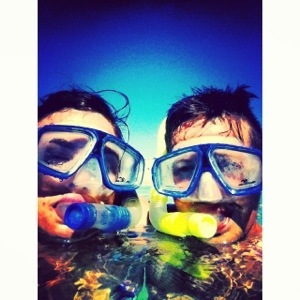 I will always remember the moment I put my head under the water, it was so surreal, like looking into another world. We were so lucky to see two turtles swim by us and the amount of big colourful fish was amazing. 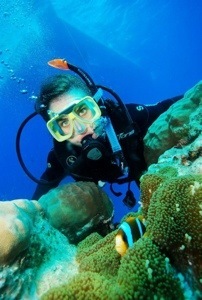 Even if your not a confident diver, you can still go and snorkel which is just as incredible and diving. It’s honestly the best thing I’ve done on my trip so far, you have to do it!! ← 34 signs you are addicted to traveling.